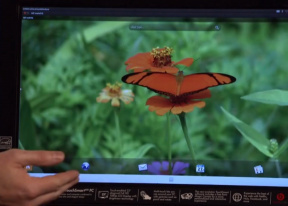 The Open webOS project has officially hit version 1.0. While HP has only released the operating system for use and testing on computers, an independent team of devs have ported the OS to an unlocked Galaxy Nexus. The port is pretty much useless for the time being, with basic phone functions like calls and SMS being unsupported. However, the Wi-Fi does work, making it usable for Web browsing. For now, the team is working on full hardware acceleration, which should make the OS actually usable.